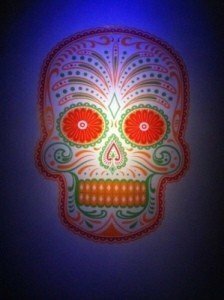 Detroit Institute of Arts (DIA) will exhibit 28 ofrendas created by local artists from Friday, Oct. 24, to Sunday, Nov. 2. An ofrenda (offering) is an essential part of the traditional Mexican Day of the Dead (Día de los Muertos) holiday, a day to remember and honor the memory of deceased loved ones. Opening reception is Friday, October 24th from 6:30-8:00pm. The reception will be followed at 8pm with a few remarks about the exhibit by Detroit Council Member Raquel Castaneda-Lopez in addition to a short preview of the Michigan Opera Theater’s Frida opera performed by singer Catalina Cuervo from 8:10-8:20.